Viewing will be held 4-8pm Wednesday, Oct 10, 2018 and 4-8pm Thursday, Oct 11, 2018 with the family greeting friends from 6-8pm on Thursday at the funeral home. Services to celebrate her life will be held 10:00am Friday, Oct. 12, 2018 at Southern Hills United Methodist Church (8200 S. Penn) with burial to follow at Resthaven Memory Gardens. Jo Ann Taylor passed away peacefully with family at her bedside at the Integris Hospice House in Oklahoma City on Tuesday, October 9, 201. She was 92 years old. 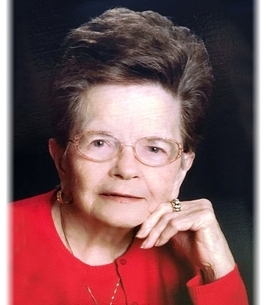 JoAnn was born on April 16, 1926 in Enid, Oklahoma. Her family moved about western Oklahoma and settled for a time in Clinton, Oklahoma. She met and dated future husband, Robert Dean Taylor, while in high school in Clinton. Her family moved to Shattuck in her senior year and she graduated from Shattuck High School in 1944. Jo Ann and Robert were married in May 1944 in Clovis, New Mexico, where he was training for duty in the US Air Force. After Robert came home from World War II, they settled in Clinton and were avid Red Tornado fans. Even after relocating to Oklahoma City in 1966, they remained active members of the Clinton Alumni Association until health problems finally prevented them from participating. After moving to Oklahoma City, they became Sooner basketball fans and loyal ticket holders. JoAnn and Robert raised five children. Jo Ann was a wonderful homemaker, seamstress and cookie-maker, who loved celebrating the holidays with her family.